When you become a client, we will take you through a thorough but straightforward process to make sure we learn everything we need to know to do the best job for you. With many advisors, you tell them your age and fill out a brief questionnaire, and they have your portfolio designed shortly afterward. With Pacific Investment Research, we understand that when it comes to managing your life savings, we are all very different. What fits you is probably not ideal for your friend, your sister or your neighbor. To properly control risk, your investments should be specifically tailored to you. To ensure your unique situation is adequately addressed, we’ll spend more time getting to know all about you, your goals, your responsibilities, and your investing philosophy. We also want to understand your expectations for how your portfolio is managed throughout market cycles. We encourage you to engage and ask questions so you can feel comfortable with the process. Together, we will develop the investment approach to use for your portfolio and construct an investment plan. 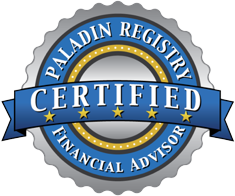 We believe that a successful investment plan requires your complete understanding and approval. We’ll take the time to discuss every facet with you so that you feel comfortable with how we are investing your assets. After all, it’s your money and you have to sleep at night. Don’t worry, we understand that you’re not in the investment business, so we explain it in plain language. Together, we’ll determine the investment strategies to use and how we should allocate your assets among them. We offer a broad array of traditional and active investment strategies that we can use depending on your unique needs, risk tolerance, tax situation, and investment goals. Once we agree on the investment plan, we’ll go to work putting it in place. Unlike most advisors, who review holdings on a monthly or quarterly basis, each of our actively managed investment strategies are monitored daily. All changes are made systematically and only in accordance with policies you have approved in advance. By following this method, we ensure that emotions do not influence buy or sell decisions. We provide daily investment reporting online, as well as an easy to read monthly summary report which shows how your overall portfolio is invested. This statement will show your entire portfolio’s investment returns over various time periods, and show you how each specific investment is performing compared to a corresponding benchmark (such as the S&P 500). That way, you always have a clear view of how well you are doing. Its all about you, your goals and dreams. We listen and tailor make solutions to best fit your needs.